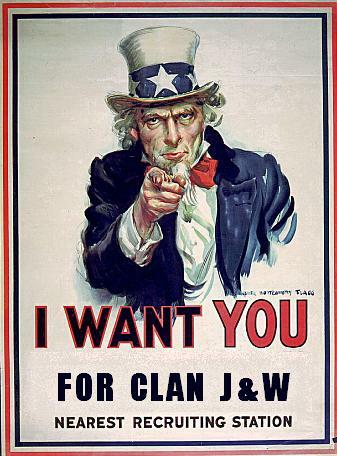 That's right, Clan J&W is now officially open for business! On behalf of the mob, I'd like to welcome you all to the site and I invite everyone to join up! All entries will be accepted! The Clan Tournaments and and weekly contests should be rolling soon and the forums section is now online.